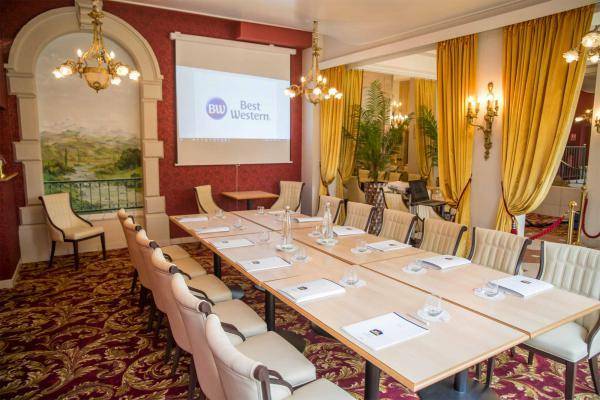 For top-quality seminars, Best Western Beauséjour Hotel can offer a seminar room for up to 45 participants in theatre layout or 25 participants in boardroom or U shape format in a fine 19th century edifice with views over the Pyrenees. It is located on the ground floor and also boasts doors to the outside. Depending on your needs, our team can provide professional advice and equipment on request. 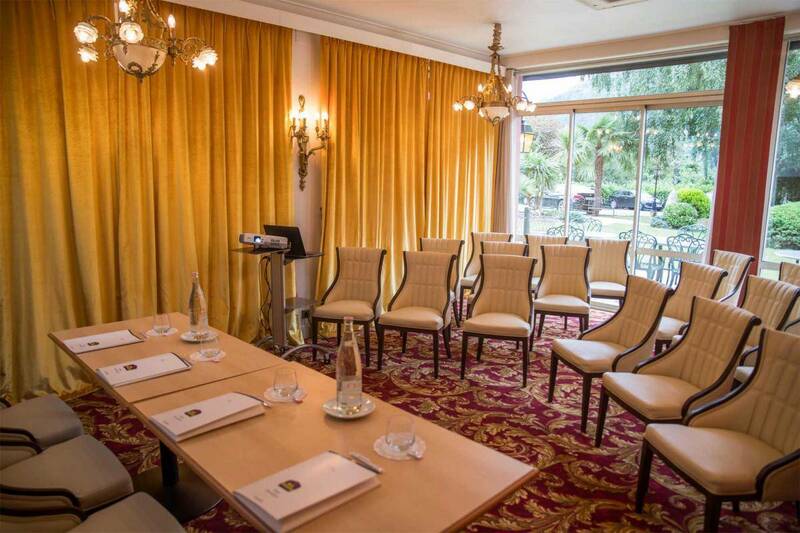 Surface area of 80 m2, air-conditioned room with free Wifi Internet access. 3-star charming, luxury hotel with free private parking. 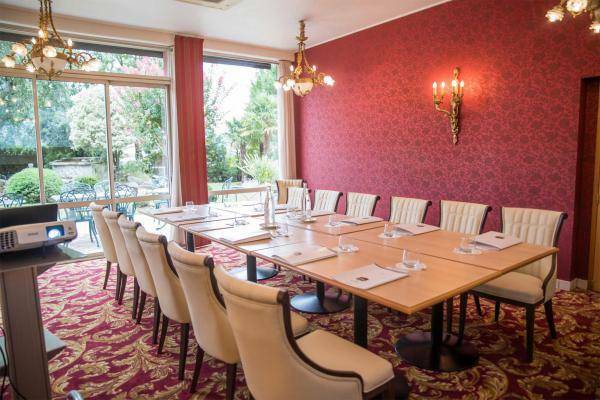 Set in peaceful lush green surroundings with air-conditioned rooms and a heated summer pool. Belle Epoque-style restaurant with authentic regional cuisine. Meeting room for hire by the day or 1/2 day. Wide variety of tourist activities in the town and the surrounding area. Free Wifi Internet access in all public areas of the hotel and in all rooms.